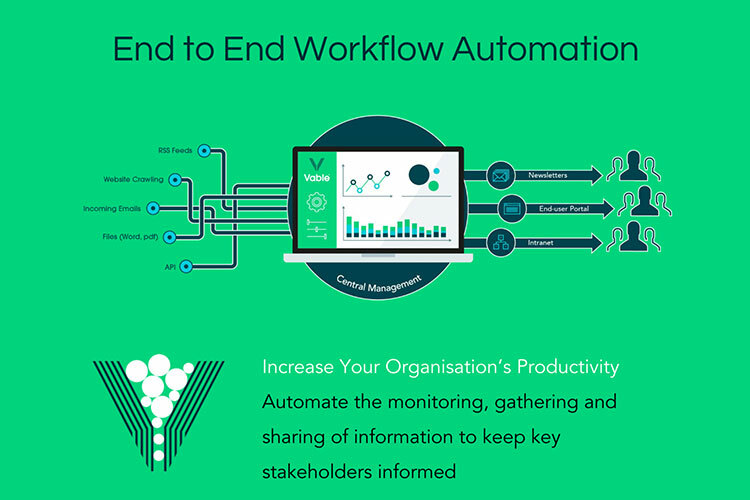 Vable is a UK-based content automation platform that helps companies across the globe manage information from various sources in one place and deliver the most relevant content to their audience. Vable needed a dedicated development team to build a new solution from scratch implementing efficient technologies, including Angular 6, NodeJS, Amazon Web Services, RabbitMQ, to name a few. They planned to launch a cloud platform based on the idea of their existing on-premise product to cover the greater scope of business cases and serve a wider audience. Vable decided to shift its business focus and target not only the legal sphere but also other sectors, including education, business, healthcare, etc. N-iX has helped the company to shape a new business model and implement it in the new cloud-based solution. Our team has built a new software architecture, created a modern UI/UX design, developed advanced functionality, and provided professional quality assurance. Long-term partnership ensuring deep expertise of the development team in the client’s needs. Vable was looking for a trusted partner with strong Cloud expertise that would contribute to articulating a winning business model and develop a new solution from the ground up. Our team received the task to design, develop and test a cloud-based platform that would aggregate, process and deliver the best content to the end-users. Leverage the latest technologies to build an innovative, scalable and stable software product. Development of the functionality that would meet customers’ expectations based on the feedback from the users of the existing on-premise solution. Application of Machine Learning, AI, and BI to implement powerful search capabilities and provide advanced analytics of the content sent. Building a dashboard that tracks newsletter opens, click-throughs, and other analytics. The project consists of three parts: an admin site for system administrators for internal use; a client admin site for content managers who send regular curated newsletters with relevant content to their departments; a portal for end-users where they can configure their personal newsletter and select the articles they want to receive to their inbox. N-iX has built a lasting partnership with Vable that resulted in the innovative cloud-based solution which has over 17,000 users across the globe. 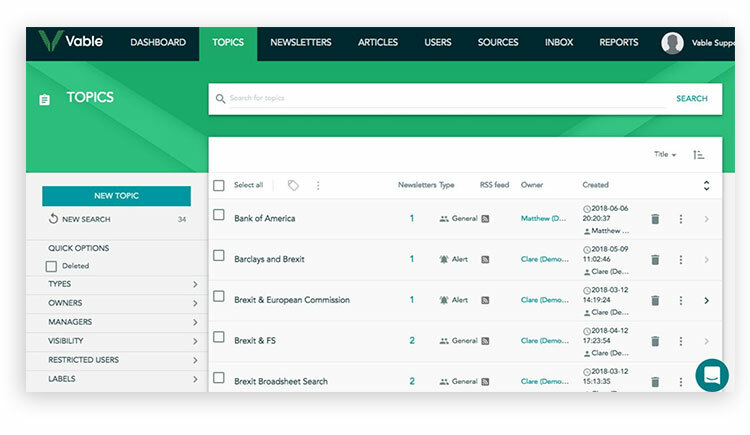 The idea that once started as a way to improve the exchange of legal information has been revised and applied to a new sophisticated cloud solution for creating curated newsletters and monitoring their delivery through analytics. 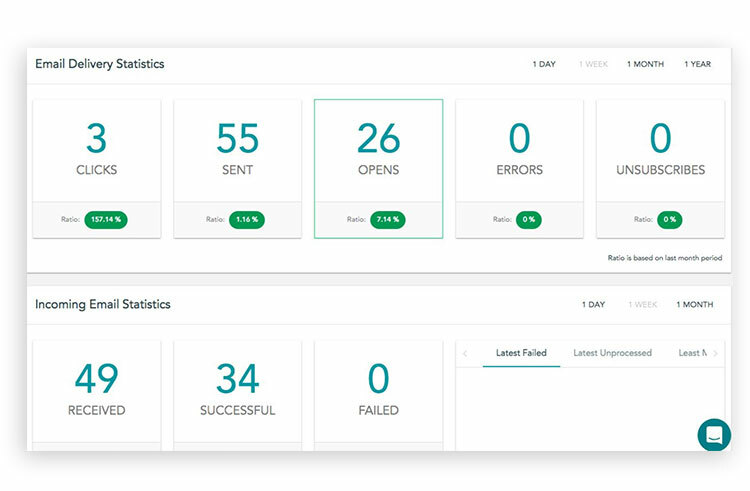 As a result, Vable now has two products that serve different types of customers and pursue different business goals but are aligned with the same idea: help customers aggregate, process and deliver relevant information. The cloud-based solution developed by N-iX dedicated team offers great flexibility due to the successful implementation of the microservices architecture. Now it can be easily scaled if the company decide to enter a new business sector. Thanks to Amazon Web Services, the platform can support any number of users. Our dedicated team has managed to build a simple, intuitive and responsive interface for the product using the Angular 6 framework. Relying heavily on Machine learning and AI, the platform offers advanced search capabilities. It is based on Alchemy API that uses machine learning to do natural language processing. It enables users to analyze text by extracting metadata from content such as concepts, entities, keywords, and more. Also, NLP extracts separate concepts from an article and analyzes whether that article is substantially focusing on the term a user typed in the search field. 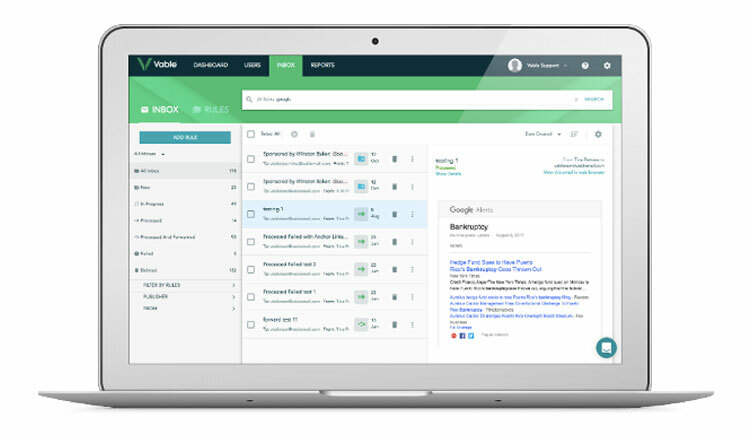 Whether it is a content manager whose job is to send regular curated newsletters to employees or a person who wants to configure what type of content they would like to receive to their inbox, Vable can help manage information from various sources. The solution is now available to a wider audience and gives a complete control over the content a person wants to process and deliver to others.